Thank you to Aviv Hochbaum, Head of Community and Development at GivingWay, for helping me spread the word on how to volunteer in Cambodia, a country I visited in fall 2014, and do so in a responsible manner. In this guest post, she recommends 10 opportunities with local organizations. Cambodia is undoubtedly a country of incredible beauty that has so much to offer its yearly visitors – from scenic sights, to tropical beaches, to the magnificent towering temples that dot the country. Throughout their explorations, travelers can also find a wide range of natural attractions and old colonial buildings that carry a rich social and historic heritage. But those that are willing to dig even deeper within the Cambodian soil will unfortunately discover a dark past that came about during Cambodia’s civil war. During the reign of terror of Khmer Rouge and Pol Pot, Cambodia lost an estimated 3 million of its people and is, even today, still struggling to rise from the ashes of that unfortunate period. Like all countries recovering from a dark past, Cambodia is facing the daily struggle of moving forward from such difficult times. Poverty, lack of resources and poor infrastructure are only some of the issues that can be seen across the country. 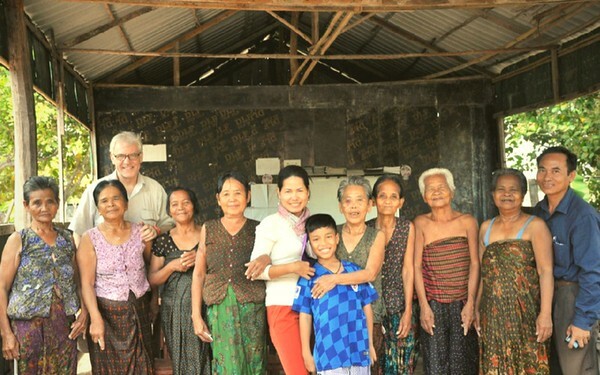 This is exactly where a traveler’s journey across Cambodia can become much more meaningful. By becoming aware of the current issues that the Cambodians are facing, and their various needs, one can spend at least a part of the trip by volunteering skills to responsible nonprofits working in Cambodia. Such nonprofits need skills, funds, goodwill, and volunteers who can help various communities and their local projects. 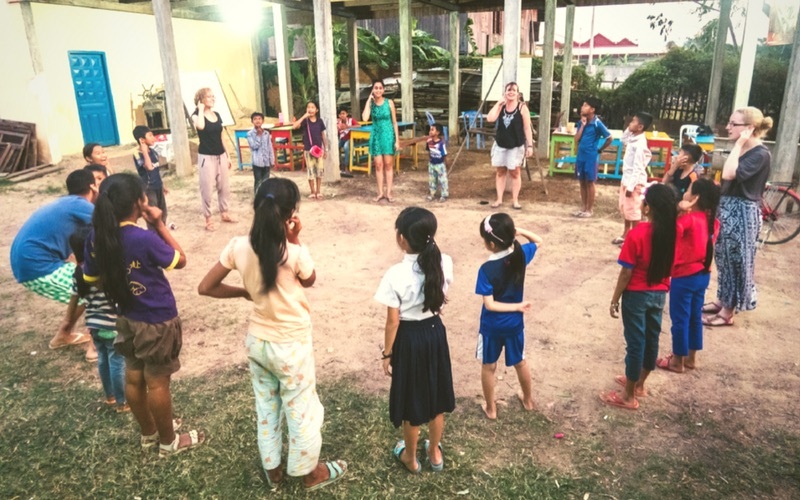 Volunteering while traveling abroad also presents a rare opportunity for volunteers to live like locals and experience the authentic Cambodian way of life which surely cannot be found in the tourist sites. These days, there is an overwhelming amount of information available when seeking volunteering abroad opportunities in Cambodia. In order to make sure a traveler’s time while volunteering does not end up doing more harm than good, it is advised to properly plan ahead the trip to Cambodia, directly communicate with responsible nonprofits before taking off, and make sure skills meet the local needs in a successful way. 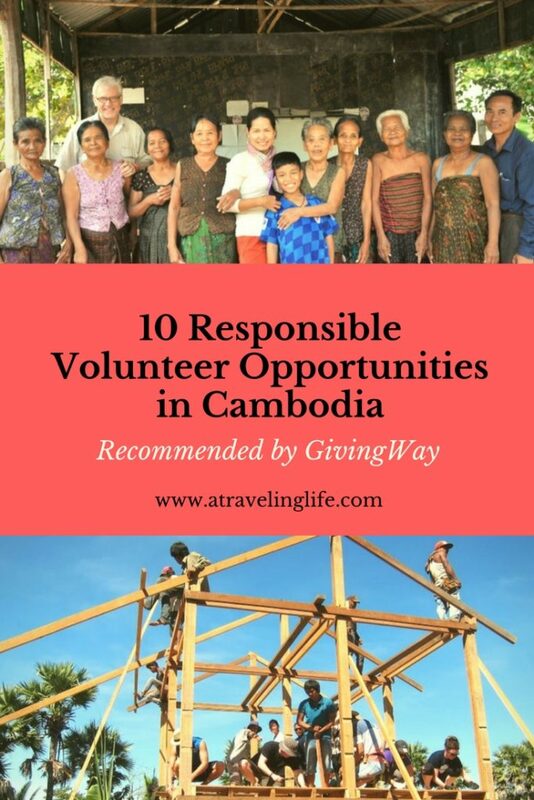 To help save time, check out the list below of 10 responsible volunteering opportunities in Cambodia. 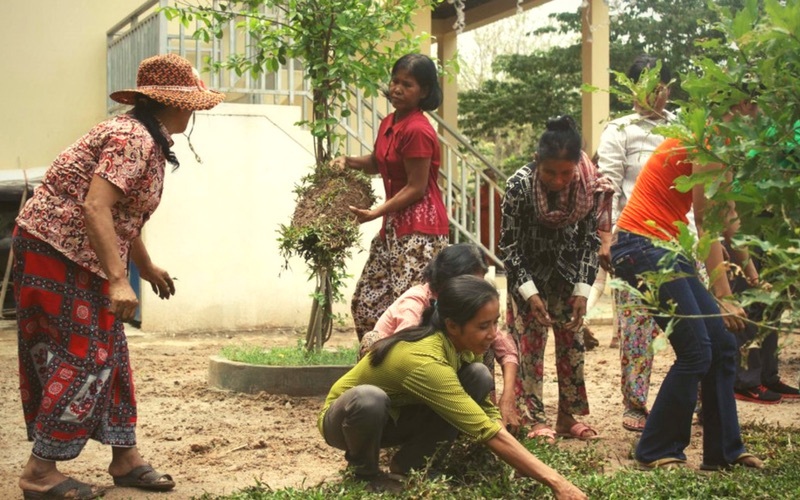 These nonprofits are local Cambodian organizations, which means they are operated by local community members who truly understand the needs and issues of the community. Additionally, they are all legally registered, do not promote orphanage volunteering and can be reached directly for volunteering opportunities. BCDO is a nonprofit that runs an English school and is based in Thmor Sor, a fishing village in the Koh Kong Province. Founded in 2009, BCDO’s objective was to provide low-cost education with the focus on teaching English. Students pay a small monthly fee to provide for the cost of electricity, water and teaching materials. The organization’s facilities include a two-room school house, volunteer quarters, staff house, and a shared bathroom. Dolphin School is a nonprofit education center based in Kratie Province. Most of the activities that go on in the school are sports, educational games, art, and social and cultural events. The school is seeking volunteers who can work three-to-five hours a day, and stay for a minimum of one-to-three months. The nonprofit is seeking individuals interested in helping with the ongoing yearly activities, as well as online volunteers who are good that would be willing to help update the school’s website, Facebook presence and e- mail support. Dolphin School of English has a volunteer house that provides free accommodation and is only a five-to-ten minute walk from the school. Based in Siem Reap, Eco-Soap Bank collects bars of soap that are still in good condition from hotels across Cambodia. The nonprofit then sanitizes them and finally distributes to various communities. Their main goal is to improve the hygiene and sanitation of local communities. This project was first initiated after it became evident that hygiene-related illnesses were a big issue throughout Cambodia. Since the country has a thriving tourist industry, it only made sense to make use of all the “waste” generated from hotels that travelers frequent. The organization is built on three pillars: to provide access to affordable hygiene products for communities that do not have access, to train and provide employment for poor women, and to reduce waste generated by the tourism industry. The organization needs volunteers to help both in their online and offline efforts. Kep Gardens Association is a vocational training center that offers various skills for village youth aimed at helping them become self-sustaining. The four main projects at Kep Gardens are the English school, vocational education, agriculture expertise, and an education support fund. The vocational center also provides sight-seeing tours for volunteers at a small fee to pay local guides. 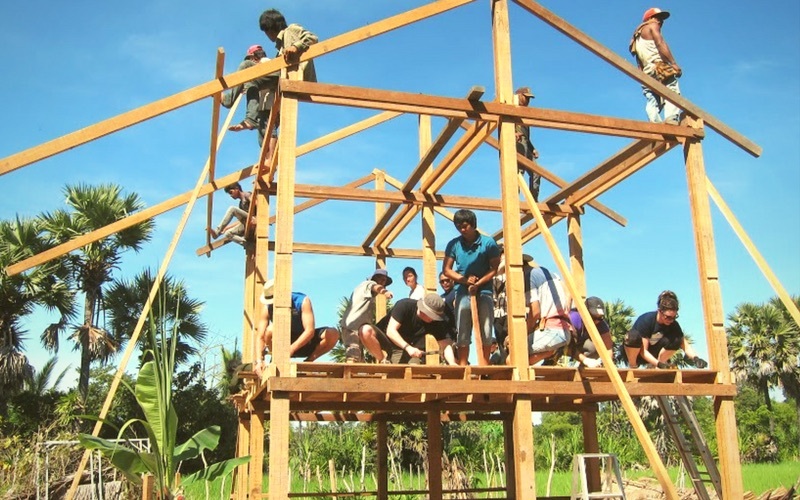 The volunteer activities that this vocational center offers are in the construction, conservation, teaching, sports, agriculture, and general field work. Among the facilities that the center provides for the volunteers are a shared room, community events, fresh water, tea, and coffee, as well as three meals per day. Based in the Bati area of Cambodia, Green Umbrella aims at giving quality education to Cambodian youth. This nonprofit requires English speaking volunteers to teach English, IT experts to train Green Umbrella staff, a librarian to develop library systems and encourage library visits, an office administrator, and more. Green Umbrella works hand in hand with local communities, and the projects that are currently running include Karen Khumar School (KKS), which caters to 83 students from low-income families. The children here are taught science, computer, art, English, football, and life skills. Green Umbrella also has an English school which caters to 350 children. In addition to these projects, Green Umbrella has a sustainable Generation Education Period (GEP). This project produces reusable sanitary kits to ensure village women continue with their day-to-day activities even during their menstrual cycles. Hurredo focuses on poverty reduction through agriculture projects and health services in the local communities. One of Hurredo’s goals is to fuel a vibrant economy to the people of Siem Reap, which will, in turn, provide a sustainable livelihood. Volunteers can work on these projects, as well as develop proposals and budgets, fundraise, and more. Hurredo accepts volunteers throughout the year, and a recommended stay of three months is advisable to achieve a maximum effect. New Day New Life is a nonprofit that provides love and care to the elderly people living in villages surrounding Phnom Penh. The NGO provides food support, spiritual care, health care, and well-being activities. The organization seeks volunteers to help in the fields of fundraising, healthcare, social work, women empowerment, and teaching. The organization aims at improving the self-esteem of the elderly by bringing joy into their lives. Volunteers are required throughout the year and can stay for a short or long period of time. As the name suggests, this is an organization that has Phnom Penh as its area of operation. 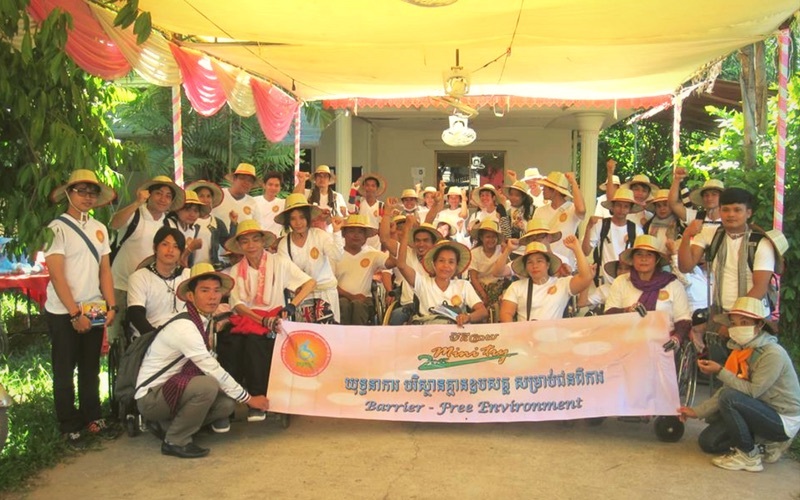 Established in 2009 by Cambodians with disabilities, PPCIL promotes a rights-based approach for people living with disabilities (PWDs), and its primary objective is to empower them. This involves providing knowledge and promoting inclusion for PWDs. PPCIL’s primary objective is to promote independent living through social work, teaching, administration and fundraising. Volunteers are invited to share their skills in management, personal assistance and fundraising. Openings are usually available between July and May, and a minimum recommended stay of one to six months would be ideal. This is a registered nonprofit that aims at improving the living conditions of families in Cambodia. 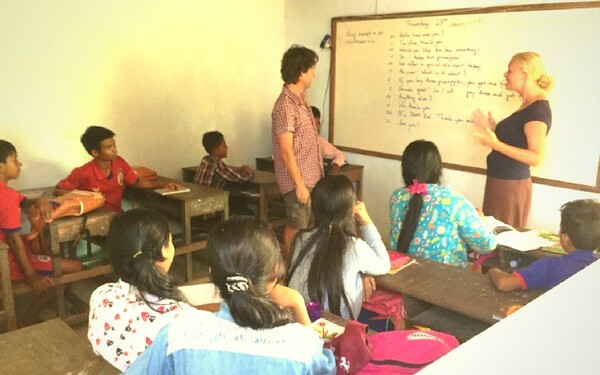 Volunteer Building Cambodia has a total of four ongoing projects throughout the region. 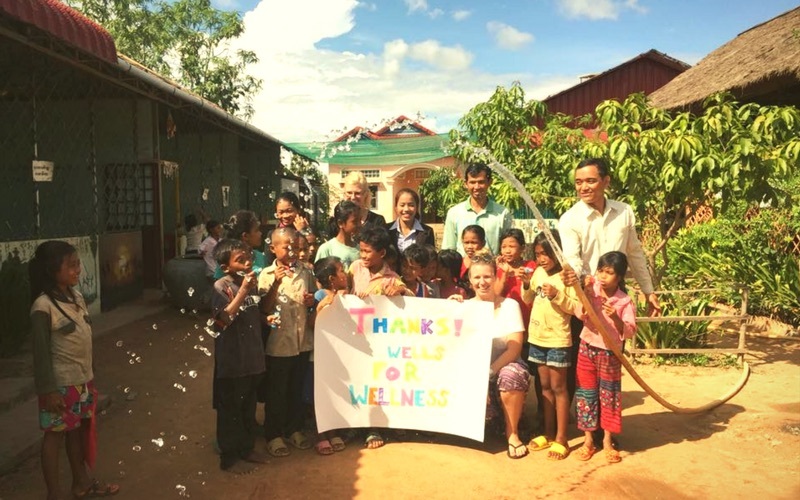 These projects include building community houses in villages surrounding Siem Reap, repairing old houses, building toilets and sensitization of hygiene education. Finally, since clean drinking water is a huge challenge in Cambodia, the NGO also promotes a clean well project to tackle this problem. VDCA offers free education and community programs for poor children in Siem Reap and other rural areas. Some of the areas VDCA volunteers cover is teaching, healthcare, childcare and web work. VDCA has two free schools, a nursery school, and a feeding program. Also available are micro-loan programs for families who live or work in the area which borders the schools. As for women empowerment, VDCA provides sewing lessons to help the village women start businesses of their own. The minimum stay for volunteer work in Cambodia is two weeks. It is always rewarding to make a difference in somebody’s life, no matter the magnitude of your help. There are numerous benefits of volunteer work that have far-reaching effects on a community and to the people in need. To make sure time spent volunteering abroad is truly responsible and meaningful, it is best to practice responsible and sustainable volunteering. Before you are off, communicate directly with the local organization, ask all the questions needed, and request information to fully understand your skills and resources will be put in the right place.